Djabe proudly presents its 3rd release by England-based Cherry Red Records, in just one and a half year. 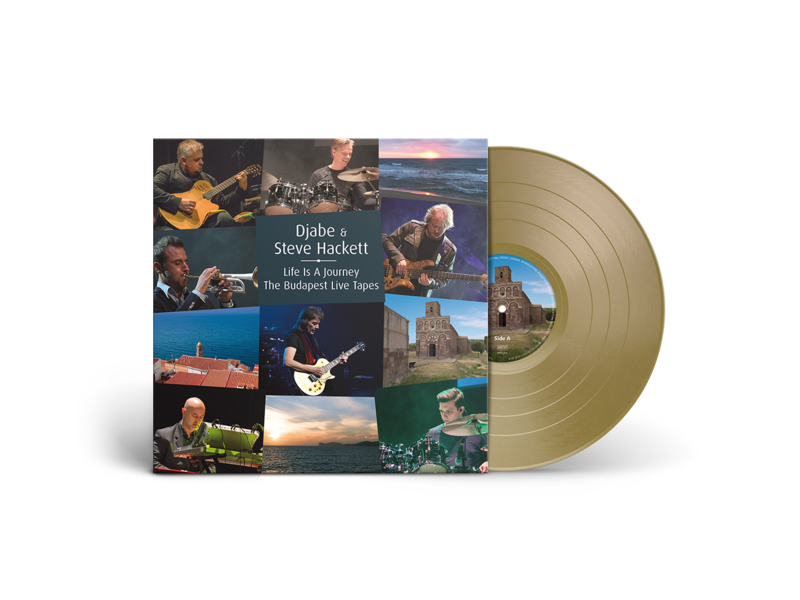 This time, the live concert recordings of the 2017 Steve Hackett & Djabe gig in Budapest, available on CD and DVD. Held at the MOMkult Music Hall, the gig celebrated the release of Life Is A Journey – The Sardinia Tapes. The performance included tracks from the new album, with classics from Djabe, Steve Hackett and Genesis, and was performed by all musicians who worked on Life Is A Journey: Steve Hackett (guitar), Gulli Briem (drums, percussion), Tamás Barabás (bass guitar, vocal), Áron Koós-Hutás (trumpet), Attila Égerházi (guitar, percussion), and the two remaining band members of Djabe, not present on The Sardinia Tapes, János Nagy (keyboards), Péter Kaszás (drums, vocal). Life Is A Journey recorded on the picturesque island of Sardinia, in July 2016. Done in a temporary built recording studio right next to the Nostra Signora di Tergu cathedral, improvisations inspired by the surrounding natural beauty and millennia-old culture took 3 days to record. Saved on 24-track analogue tapes, the material was worked out into a complete album by Tamás Barabás later on in Budapest, and released by Cherry Red. Live premiere gigs were held in Győr on October 3, and i Budapest on October 4, 2017, in sync with the international release dates. The Budapest gig was recorded, and these audio and video recordings are the basis for Djabe & Steve Hackett: Life is a Journey – The Budapest Live Tapes. This 2CD + DVD pack contains loads of extras, both audio and video, from and about the 2018 tour. The DVD, besides the stereo mix, features a surround version. The essence of the gig released on a 180g vinyl disc. Besides Life Is A Journey tracks, one Djabe, Genesis and Steve Hackett composition can be found on Side A of the record.